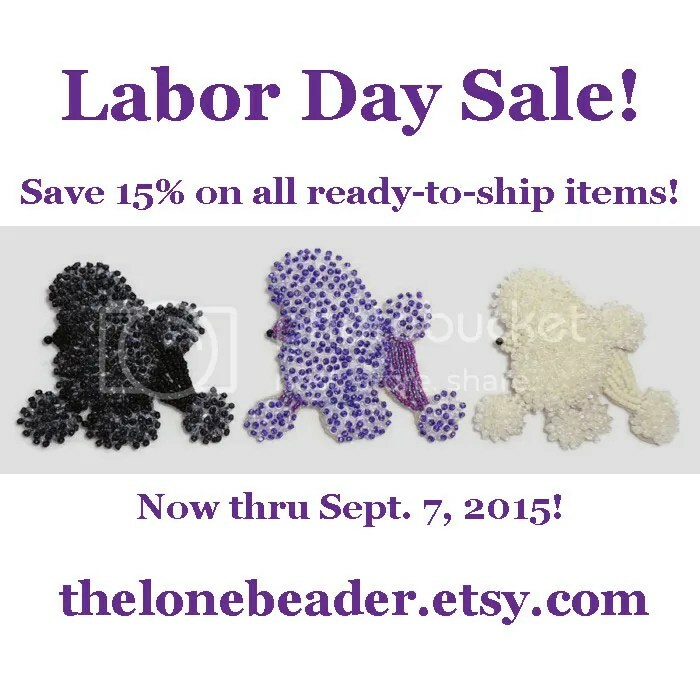 Beaded Labor Day Sale on Etsy! Dear friends, celebrate Labor Day with a sale! Save 15% on all ready-to-ship ‪‎beaded‬ ‪dog‬ ‪jewelry‬, ‪‎beading‬ kits, ‪bead‬ patterns, and ‪‎art‬. No coupon code needed! Please note: All items purchased between Sept. 3 & Sept. 8 will ship out on Sept. 9, 2015. Enjoy what’s left of ‪summer‬ while you can!